Although some people grow their trees from seeds. And I think this is probably true. And staked out to give them rectitude. Crippled as saplings to please the grower’s sense of beauty, or ambition, or convenience. The twig cannot be bent or staked out further to any good purpose. It has become a tree. A refuge to those seeking solace, or a place for visionary youth to pray. Fulfilling the promise of the seed and the shaping of the sapling. What then? What more does the tree need from you? Well, and this is important, trees never lose their need for warmth and belonging. And that this kinship of family extends forward and backward beyond the reckoning of time. Finally, a gentle word of counsel to you who would grow trees. Give thanks to the Lord of the Forest. Give thanks for the seeds. And for entrusting us with their care. To leave the frozen ground and reach for the warmth and light of the heavens above. M.T. Bentley is a professor, consultant, and father of four children. Scott and I had this parenting notion: Show me who you are. This was extremely helpful. When our sons showed us who they were – as they were figuring this out – they turned out to be delightful and talented people. Not one of them fit a preconceived notion of who they might be. Support their interests. We did not make demands on Scout participation or certain athletics or after-school activities. We had only one “must” and it was that they must take piano lessons until they could accompany others. Each of them did this and we were amazed when they continued their lessons way beyond the point where we thought they would quit. As parents, we paid for a lot of lessons in several fields, drove them to their lessons until they could drive, and we attended every activity we could, which turned out to be most of them. Feed them and feed any of their friends, and let your home be the gathering place. This involves extra money and lots of late hours, but it was great having them know they could always invite friends over, and our home came to be known as a “safe place” to hang out, by kids and parents alike. As a result, we knew their friends well–and enjoyed the interaction. Also, one cannot underestimate what we learned while everyone was hanging out here. The casual eavesdropping opportunities were tremendous – so we had a pulse on what was going on with them and their friends. This also leads to another tip: drive them and their friends where they want to go. The parent at the wheel becomes invisible and SO MUCH info is dropped in the conversations. We granted them three (and only three) “saves” for each school year. They had to use these saves wisely – having us bring stuff to school they forgot, etc. This helped them to be responsible for their work. If they had to stay after school for detention – my coming to get them was a “save.” Each son had only one detention in all their school years. But they each had one. Each usually used up their “saves” in a year. Now that they are grown, we have funny family stories about these. Laugh a lot. “Save the day with laughter,” as Grandma taught. Wow. I’m going on and on. It’s kind of fun to think back on this and realize that a lot of this really worked. We still love each other. We’re friends. They are delightful and responsible adults with unique talents. I occasionally told them back then, and I’ve told them a few times since they’ve left home: I have many weaknesses and have made errors, but one thing I know about myself and about them is that I was a really good mother. They seem to believe my press statement. 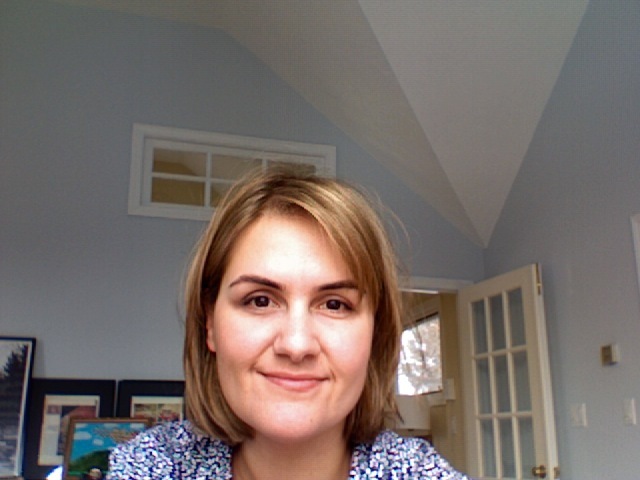 Annette Paxman Bowen is the author of three books, including one about connecting with teens. She currently works as a public affairs media director.